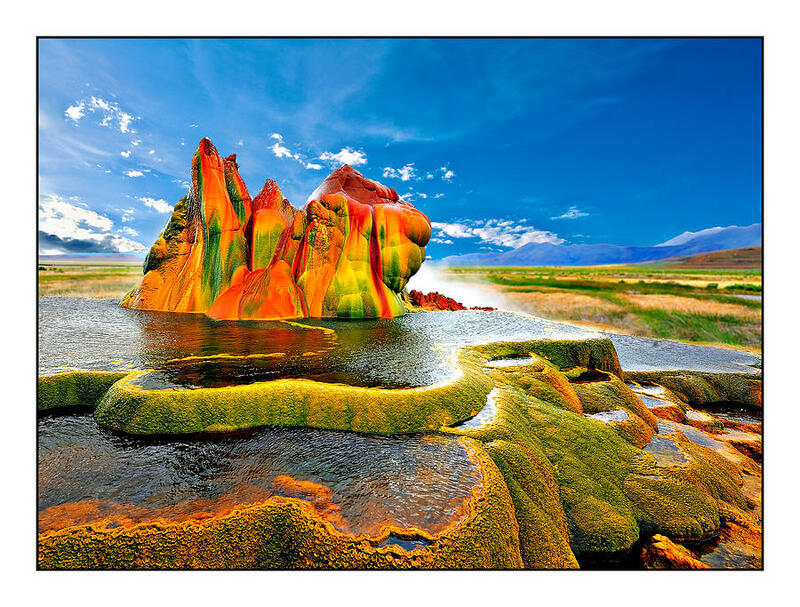 Fly Geyser, also known as Fly Ranch Geyser or the Green Geyser is a man-made small geothermal geyser located in Washoe County, Nevada approximately 20 miles (32 km) north of Gerlach. 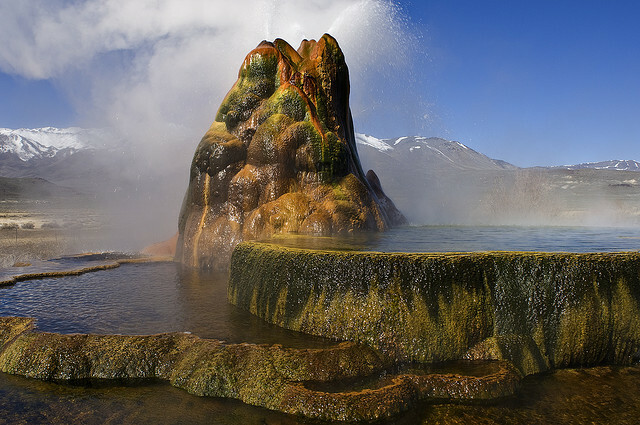 Fly Geyser is located near the edge of Fly Reservoir and is only about 5 feet (1.5 m) high, by 12 feet (3.7 m) wide, counting the mound on which it sits. 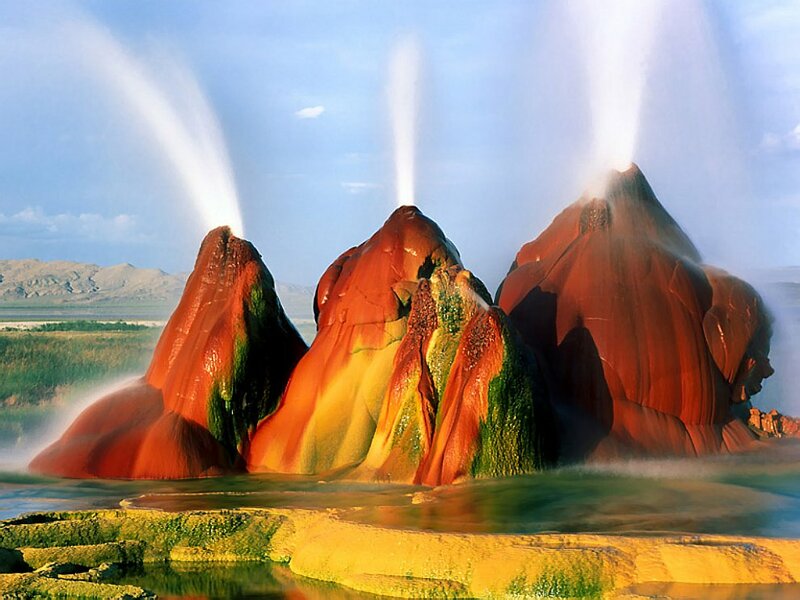 Fly Geyser is located on the private Fly Ranch in Hualapai Flat, about 0.3 miles (0.48 km) from State Route 34. 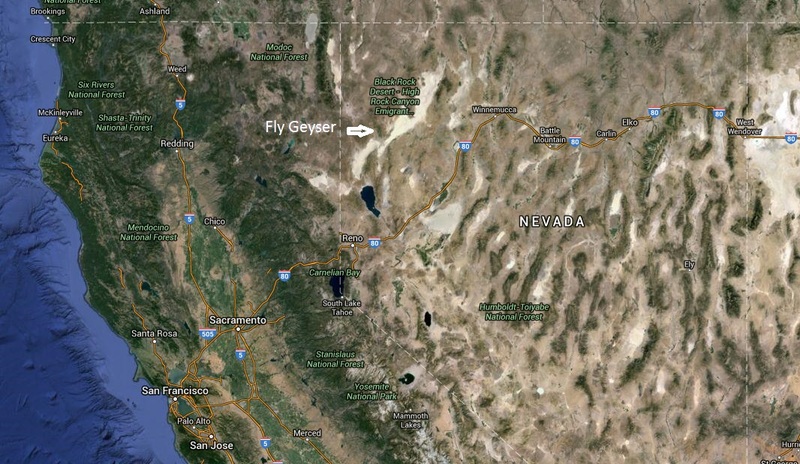 The ranch is currently owned by Todd Jaksick. There is a high fence and a locked gate topped with spikes to exclude trespassers. 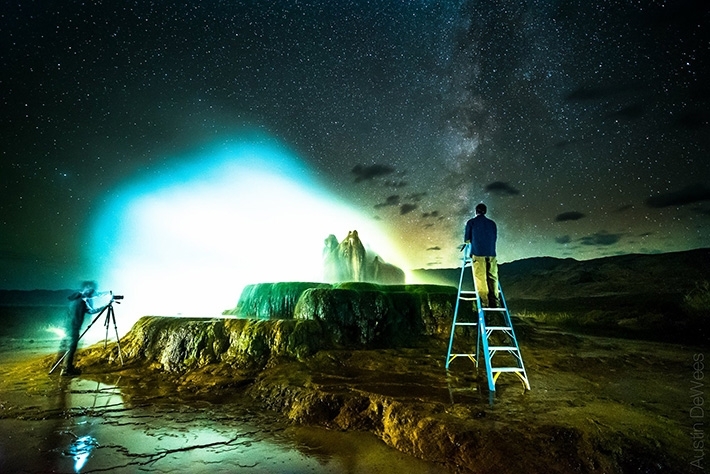 The only access is a dirt road, but it is large enough to be seen from the road. 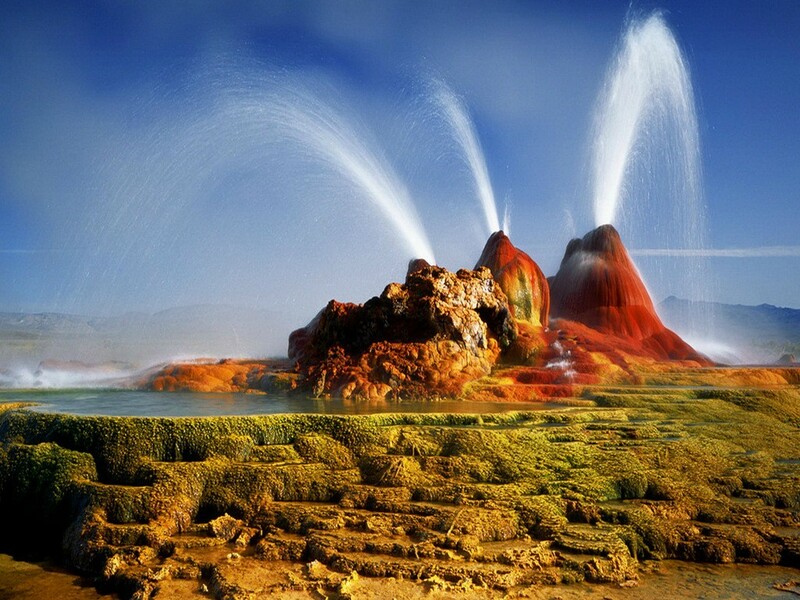 Fly Geyser is not an entirely natural phenomenon; it was accidentally created by well drilling in 1964 exploring for sources of geothermal energy. 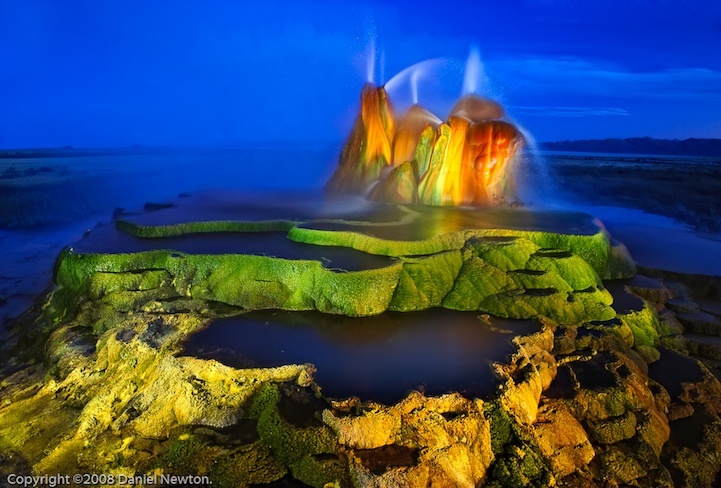 The well may not have been capped correctly, or left unplugged, but either way dissolved minerals started rising and accumulating, creating the travertine mound on which the geyser sits and continues growing. 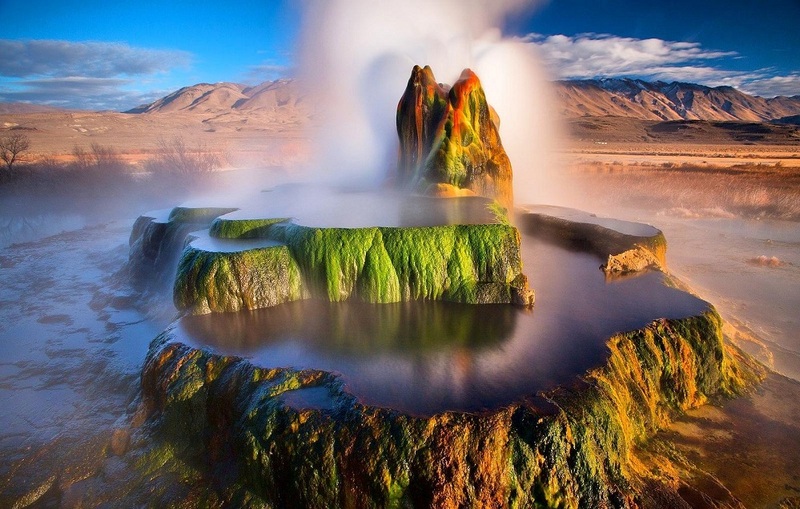 Water is constantly released, reaching 5 feet (1.5 m) in the air. 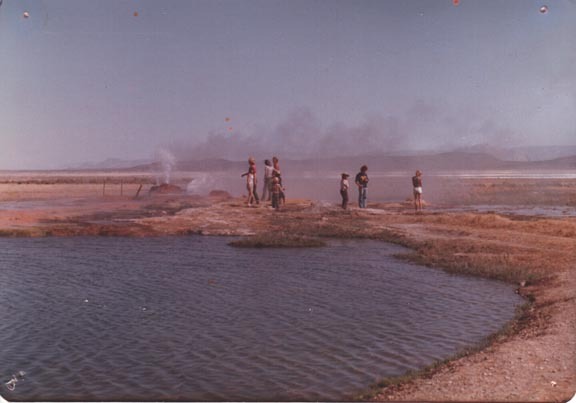 The geyser contains several terraces discharging water into 30 to 40 pools over an area of 74 acres (30 ha). 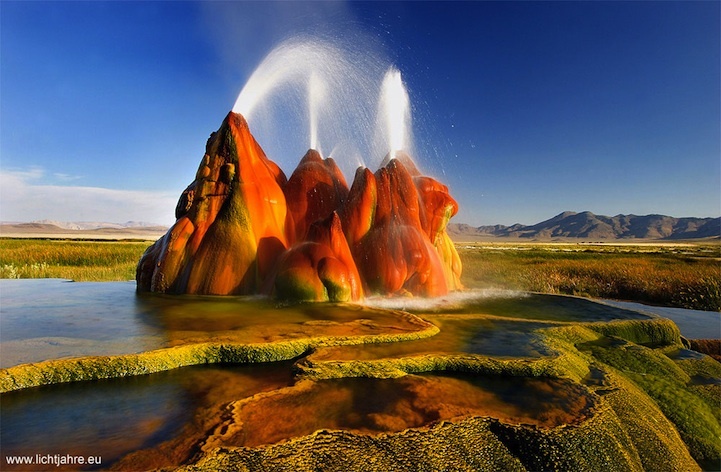 The geyser is made up of a series of different minerals, but its brilliant colors are due to thermophilic algae.